The intention of this overview is to provide a brief and simple explanation of the Basque Country, mainly aimed at those who know less about it. 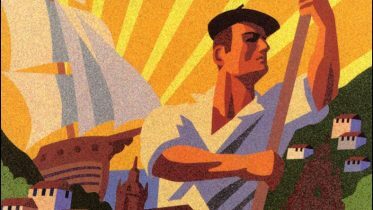 The objective of this section is not to delve into details, descriptions or explanations, because, through the collaborators of Basque Tribune, its readers will have the opportunity to get to know all aspects of interest related to the Basque Country. In addition, in the “you ask, we answer” section, readers have the opportunity to pose their questions about any Basque topic that spurs their interest. Talking about the Basque Country certainly can be controversial. In fact, there are various and conflicting opinions about what we mean when we speak of the Basque Country. There are different sensitivities, different feelings of identity; different ways of understanding the past and projecting the future. There are many citizens who feel Basque and only Basque, many who feel Basque and Spanish, others who feel Basque and French, and many from Navarre that do not feel Basque at all. As a result, the citizens of the world who want to get closer to Basque reality, may, on multiple occasions, find different maps, different terminology and different nomenclature. Undoubtedly, Basque Tribune echoes this plurality of views about this complex reality, and it tries to explain it and analyze it. Nevertheless, Basque Tribune springs from a geographical, historical, cultural, linguistic reality which in 1643, for example, the writer Axular already talked about: Seven provinces divided along both sides of the Pyrenees. This is the concept of Basque territory we refer to at Basque Tribune. • The Autonomous Community of the Basque Country comprises the provinces of Araba, Biscay and Gipuzkoa. They form one of the 17 Autonomous Communities of Spain. During recent decades, when speaking of the Basque Government, Basque Parliament, Basque Police… we are generally speaking about the institutions of these three provinces. • The province of Navarre makes up another one of the autonomous regions in Spain. The possibility of these four southern Basque provinces joining a common path has been projected within the Spanish Constitution and in both Statutes of Autonomy, but it is an issue that has generated and still generates a great deal of political controversy. • As of 2017, the three northern Basque provinces of Lapurdi, Lower Navarre and Zuberoa, are united in one governmental body that groups them together. 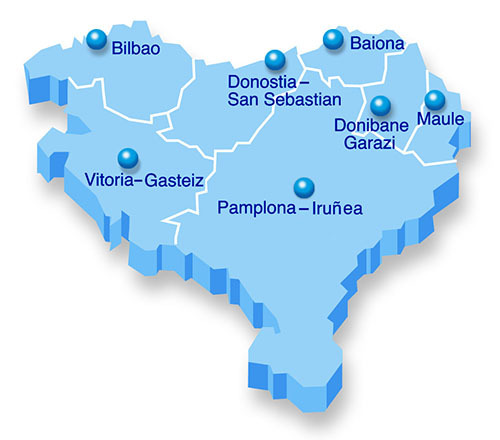 After a process involving 158 City Councils of the three provinces, they decided with an overwhelming majority to create an association of municipalities with competencies in areas such as Basque language and culture, economy, housing and transportation, although with much more limited autonomy than the Basque provinces of the South. Also, together with Bearn, they form the Department of the Atlantic Pyrenees, making up the new Aquitaine region which, since 2016, is a fusion of the three previous French regions of Aquitaine, Limosin and Poiton-Charentes. Obviously, the situation of the economy in its various sectors, the situation of the Basque language regarding its official status, speaker competence and utilization, social and political realities… are different in each of these Basque territories. But at the same time, they share a long past, present and an extended future in common. 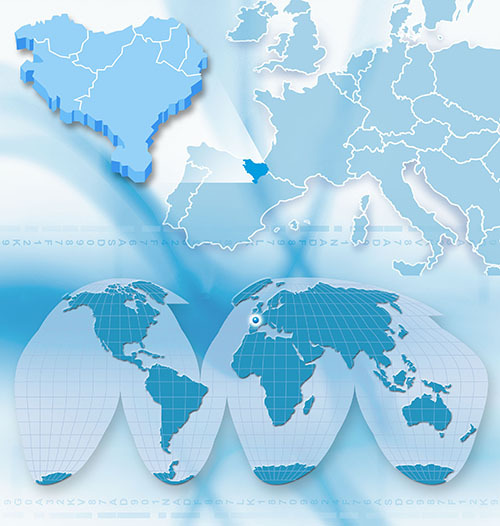 Basque Tribune offers the citizens of the world the opportunity of having access to this information thanks to a magnificent network of collaborators who know the Basque Country very well and offer to share their vision with readers interested in this ancient people who are always looking toward the future.